Comment: Audrey Faye Hendricks was just nine years old in 1963 when she joined the Children’s March in Birmingham, Alabama. She is arrested and spends seven days in jail. 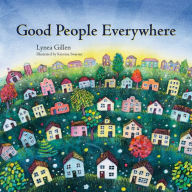 The story and illustrations introduce young readers, in age-appropriate ways, to the injustice of segregation, the atrocity of sending a child to jail, and the impact of standing up for what’s right. In the end, Audrey is reunited with her parents and revels in “hot rolls, baptized in butter!” The prophet Micah points out that Israel’s hoped-for ruler, the “one of peace” will come from a place most unexpected – the tiny, seemingly inconsequential tribe of Bethlehem. 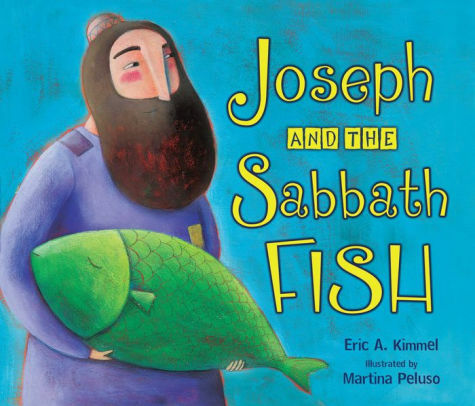 Using this story in conjunction with the prophetic texts offers an opportunity for children to explore how they can change the world in unexpected ways. Comment: Mary’s song of praise to God is structured around a series of reversals – the proud are humbled, the powerful are brought down, and the rich lose everything; the lowly are elevated, the hungry are filled. In Kimmel’s retelling of an old Jewish parable, Joseph offers a rich feast to anyone who wishes to attend – even those who are poor. His neighbor, Judah, scolds him for foolishly spending his money on those who can’t repay him. Ultimately, Judah’s desperate efforts to hold onto his wealth leave him poor and destitute, and Joseph welcomes him to his Sabbath table, where they find an unexpected blessing together. This story provides a concrete image for children of how Mary’s prophetic song comes true in our common life. Thanks to Joshua Andrzejewski for writing the Revised Common Lectionary Links this week. Josh serves as a chaplain for the pediatric and women’s health units in the VCU Medical Center, Richmond, VA.
Lectionary Links (RCL): December 23, 2018 by Storypath is licensed under a Creative Commons Attribution-NonCommercial 4.0 International License.